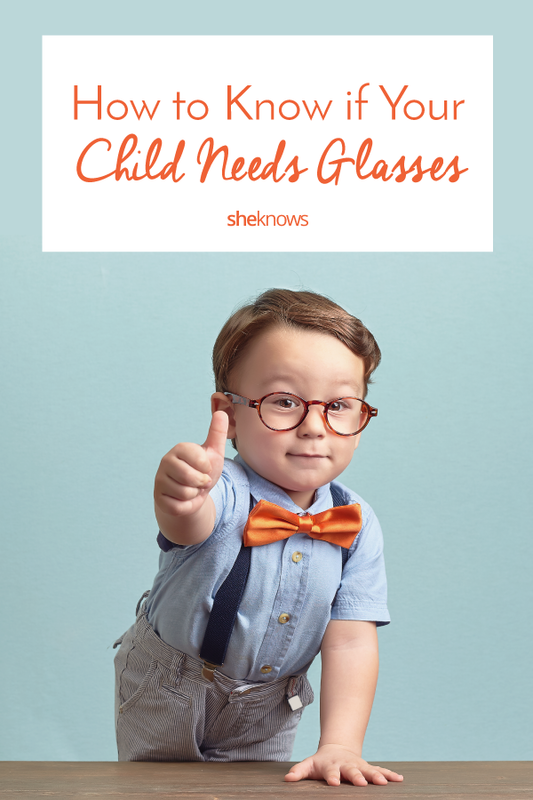 Does Your Kid Need Glasses? Does my kid need glasses? This is a question that keeps some parents up at night and one I hear often as a doctor of optometry. If your child is having trouble seeing the board at school or is struggling to concentrate, it could be because they can’t see well. Studies indicate that 60 percent of children identified as “problem learners” suffer from undetected vision problems. Understand that your child may not bring up a vision problem in conversation due to fear, insecurity or simply not realizing what poor vision feels like, so it’s up to parents to look for clues and ask the right questions. Luckily for us, there are plenty of common signals that indicate your child may be experiencing a vision problem. These symptoms include covering one eye, holding reading materials close to the face, complaining of headaches, expressing discomfort or having a short attention span. Given these signs, it’s important to consult your doctor of optometry if you’re concerned your child may need glasses. While glasses are important, the American Optometric Association reiterates that comprehensive eye exams mean a lot more. Why is an annual eye exam important? It’s easy to lose sight of the importance of scheduling an annual eye health exam for kids. Kids and parents alike are often overscheduled, inundated by work, school and other activities; it’s a challenge to keep up. Plus, if your child is not already experiencing a vision issue, getting their eyes checked may just not seem important. But it is. A comprehensive eye exam is not only important in determining if your child’s vision is healthy or if they need glasses; it’s also instrumental in looking for signs and symptoms that can speak volumes about a child’s overall health, such as detecting and diagnosing brain damage or head trauma. Doctors often call the eyes “the windows to your health,” and for children, that’s especially important. Why? Eye exams can help you detect and address many problems early. What’s the difference between a vision screening & a comprehensive eye exam? Eye and vision health can impact every aspect of a child’s life, from their cognitive, social and motor development to their academic achievement. But vision screenings like those offered at a school or pediatrician’s office are not enough to ensure a child’s eyes are healthy. Many vision screenings only test for visual acuity, whereas during a comprehensive eye exam, doctors of optometry, or optometrists, use specialized equipment and procedures to examine total eye health. Vision screenings may catch acuity issues, but they can miss larger eye health problems that often lack any signs or symptoms. In fact, 75 percent of other eye health conditions are missed by such tests, and even when problems are detected, 61 percent of children do not receive suitable follow-up. An annual comprehensive eye exam by an optometrist is the only way to guarantee a child is receiving the eye care they need and deserve. So, when should I take my child for an exam? One in 5 preschoolers has a vision problem. Preschool-age children should receive at least one in-person comprehensive eye and vision examination between the ages of 3 and 5 to prevent and/or diagnose and treat any eye or vision conditions that may affect visual development. Previous recommendations were for eye exams to occur once every two years, but school-age children should actually receive an in-person comprehensive eye and vision examination annually to diagnose, treat and manage any eye or vision problems. There is a high prevalence of vision problems in kids who experience a concussion, so it’s important that these children visit their optometrist for a comprehensive eye exam in addition to an appointment with their general health care provider. Comprehensive eye exams are essential in protecting their vision as well as determining if more medical care is needed. It’s never too late to get a comprehensive eye exam for your child. Try to plan this exam around other annual milestones, such as physicals, vaccinations or birthdays. An annual comprehensive eye exam will help protect your child’s eye and vision health and ensure their future looks bright (and clear and in sharp focus). For more information or to find a doctor of optometry near you, visit www.aoa.org.